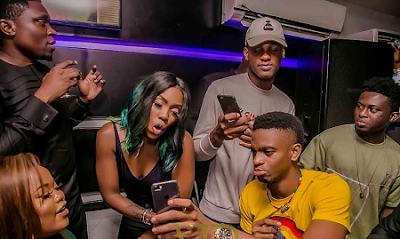 Nigerian songstress, Tiwa Savage has said the man is the head of the house and there's no debate about that. Tiwa disclosed this to Toolz on the Midday Show on Beat 99.9fm. She said: “It’s real. I’m not going to say I’m completely comfortable with it but it is what it is. You have to deal with it. If it means you have to work 10 times harder than your male counterparts, don’t complain about it, do what you have to do. We all celebrate people like Oprah and Mo Abudu and we don’t actually realise what they have to do to get to that point. They probably had to do 20 times than their male counterparts. Once you get there, you don’t complain about how you get there. So, whatever it is you have to do as a female, you just have to get it done. . I know I’ll (ruffle) a few feathers but I also don’t think men and women are equal, I don’t think that’s how God created us that way… especially in the household anyway.